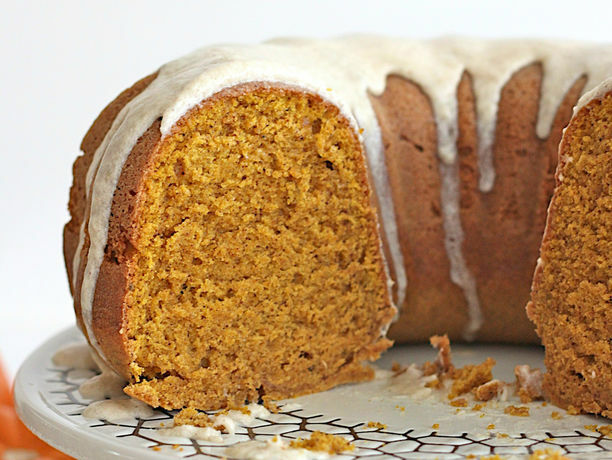 The warming flavors of chai fill this tender pumpkin pound cake making it one of the most delicious cakes you could bake this fall! Preheat oven to 325°F. Grease and flour a 10-inch (12 cup) round bundt pan. Set aside. In the bowl of an electric mixer fitted with the paddle attachment, beat the butter and sugar on medium speed until light and fluffy. Add eggs, one at a time, beating until each one is well incorporated. Add vanilla and pumpkin and beat on low speed until just incorporated. 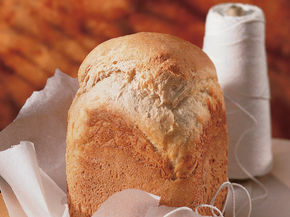 In a large mixing bowl, whisk together the flour, baking powder and baking soda. Set aside. In a small mixing bowl, whisk together the cinnamon, ginger, cardamon, nutmeg, clove and coriander. Reserve 1 teaspoon of the chai spice mix for the glaze and whisk the rest into the flour mixture. Gradually add flour mixture to the butter mixture, beating at low speed until just blended after each addition. Spoon the batter into the prepared bundt pan. Bake for 60-65 minutes or until a long wooden pick or knife inserted in the center comes out clean. Cool in pan on a wire rack for 15 minutes before inverting onto the wire rack to cool completely (about 2 hours). 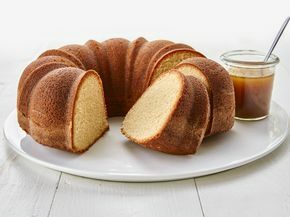 Once the cake is cooled, make the glaze: in a medium microwave-safe mixing bowl, melt the butter. Whisk in the vanilla and milk. Gently whisk the powdered sugar and chai spice mix into the melted butter mixture until just combined and then quickly whisk for about 30 seconds until glaze is smooth and of drizzling consistency. If glaze is too thick, add a little more milk. 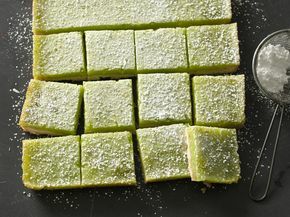 If glaze is too thin, add a little more powdered sugar. Immediately drizzle glaze over the top of the cake. 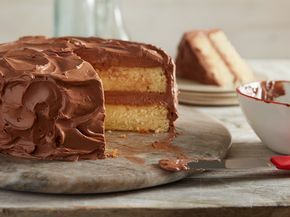 Letting the cake cool completely helps it to settle into it’s shape and traps in the moisture and flavors so it’s super moist and full of flavor when the time comes to enjoy it. The recipe title says it all--rich buttery brown sugar flavor, mmm.